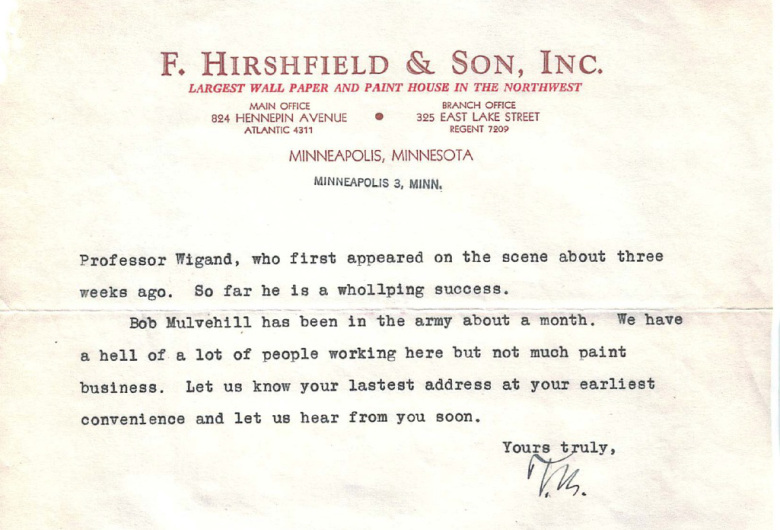 These letters give us a glimpse into Hirshfield’s history, and that of our country. When you see a reference to “Mrs. 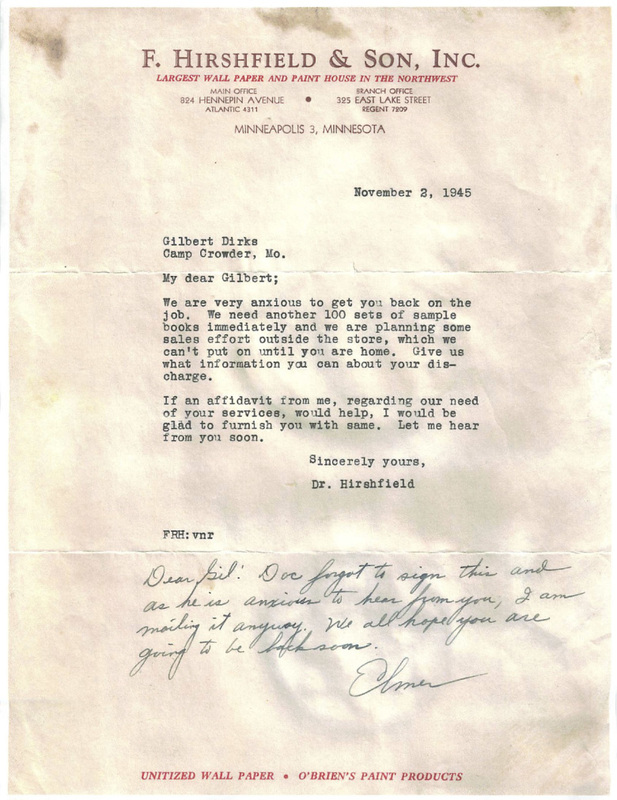 Hirshfield and the Doctor,” they are referring to Hans’ grandfather, who not only ran the business but was also a physician. Apparently this surprised some of his patients who, when they noticed the doctor’s paint-splattered shoes, questioned the validity of his credentials.